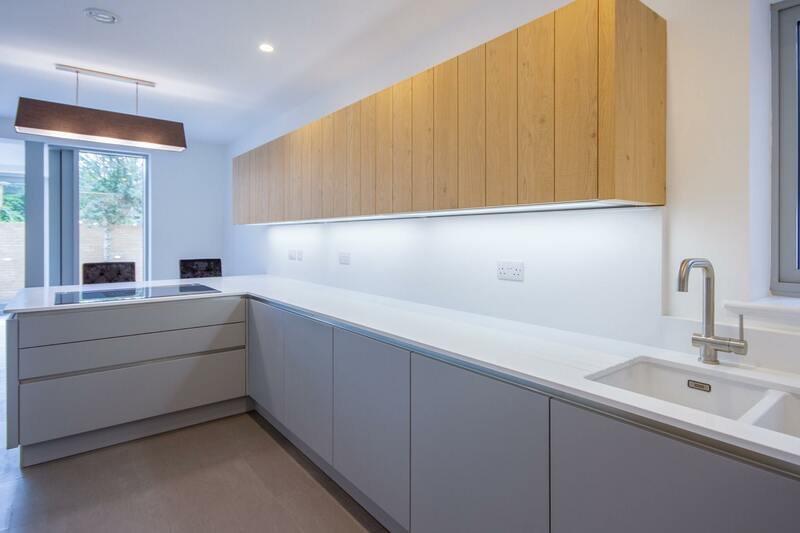 Cheltenham Kitchen Project - Cirencester Kitchens Voga Interiors - A neutral palette to enhance the oak floor and worktops. 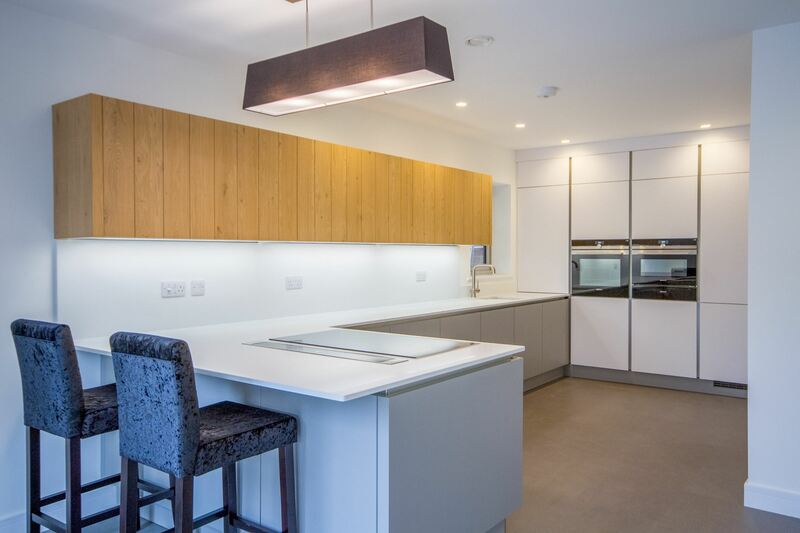 Just completed this kitchen in Cheltenham. 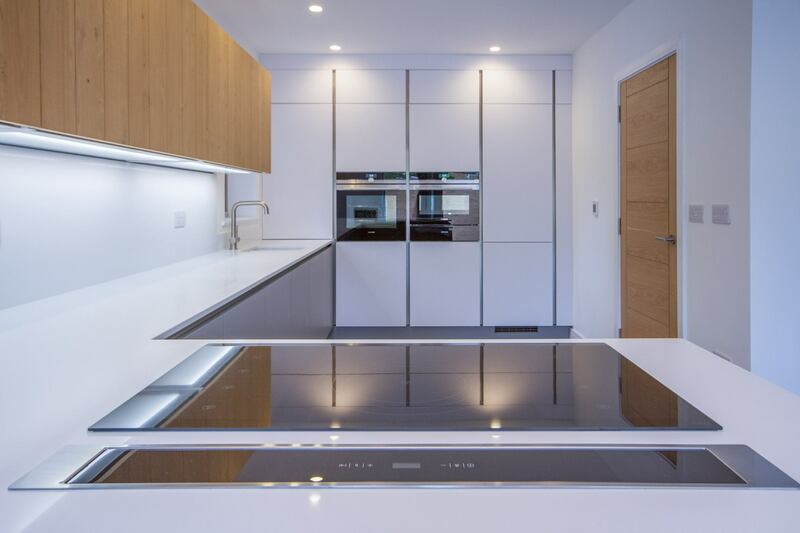 Pearl Grey and Polar White satin doors with Blanco Zeus Silestone worktops give a very sleek finish, whilst oak extra wide wall cabinets add a warm organic feel.